Project Runway, What Not to Wear and America’s Top Model. Popular fashion TV shows that cater to the fashionista in all of us. Whether it be a clothing designer taking their draped dress from mannequin to the runway or models at a photoshoot trying to sell next season’s trendiest pieces; fashion is both inspiring and entertaining. It all starts with the designer’s sketch pad, where inspiration comes from our surroundings, such as a pattern on a sidewalk or from a box of left over fabric. But first, there is DesignX, a design and maker company based in Los Altos, CA. One of our most loved programs is fashion design where kids are encouraged to look outward for inspiration through exploration. Counselors then help students take their initial vision and define the next steps to turn it from an idea to a garment that can be worn. DesignX students have a personal connection to their finished projects, as they are creating something that they intend to wear. The goal is that it not only looks good but also flatter the body, while reflecting their personal style. Naturally it must also fit properly and be comfortable to wear. A middle school boy designed an ambitious pair of shorts with a gazillion pockets, each one dedicated to a specific item he liked to carry throughout the day. After two failed attempts, he eventually got the hang of pocket making but soon decided that two large pockets were more than enough. The lesson he learned is that while it is important to see your vision through sometimes you need to be flexible to make adjustments when requirements change. DesignX Challenges are a unique and beloved part of the program in which the students work in teams to design a look for a specific person or event, a celebrity or a character in a favorite book or film. Perhaps they will design a touring outfit for Taylor Swift, a wardrobe for a tropical vacation or in the case of a recent challenge a costume for a character in Harry Potter. First students have to decide on a specific character and consider both the personality of the character, as well as, the mood and setting in which the outfit would be worn. The groups work together to brainstorm, sketch and come up with a final design which they then create in miniature scale using assorted fabrics and other materials on hand. The real take away? Coming up with a design solution and learning how to take their design from concept to completion. It is a lesson they can apply wherever their future takes them whether they are building a skyscraper, a robot or a lesson plan to inspire future generations of innovators. Interested in signing up for a DesignX Fashion or Toy Design Program? 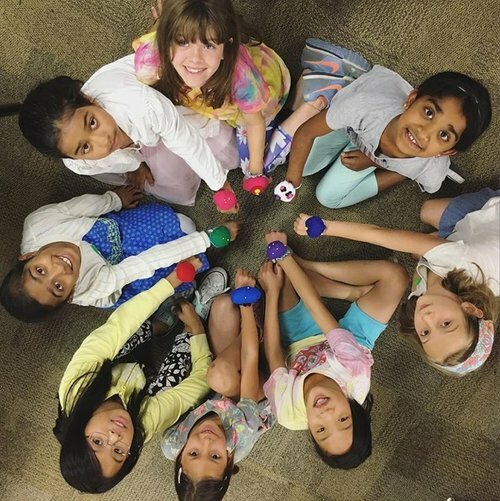 We have spots available in our Summer Camp at Bullis Charter School in Los Altos!